There is a mass delusion in the mainstream created I think in large part by too much exposure to movie fantasy and TV fiction. It is an immediate assumption; one that I believe is far more dangerous than many people give it credit for. The assumption is that the next great war, should it occur, will inevitably be a nuclear one, and the doom surrounding it will end everything as we know it. Many people even get excited at the idea of World War III and the notion that it will “wipe the slate clean,” setting the stage for a positive human reformation from the ashes. I’m here to say that this is likely not how things will play out. There are much more precise and effective weapons than nukes in the arsenal of the establishment globalists that manipulate political systems in various nations. For example, the use of weaponized economics and false paradigms. As I have warned for years now, a conflict between East and West has been engineered to take place, and this conflict will primarily be an economic one. I outlined this dynamic in October 2016 in my article East vs. West Division Is About The Dollar — Not Nuclear War. The excitement and dread surrounding potential nuclear warfare distracts, I think, from the much more legitimate threat of a staged financial war between East and West. It is important to remember that all wars are invariably banker wars — that is to say, almost all wars benefit international financiers by creating an environment ripe for centralization of wealth and political power. This notion tends to confuse some analysts and activists in the liberty movement. There is a strange clinging obsession with these people to the idea that there is true international division and that this division includes Eastern governments on one side verses globalist controlled governments on the other. Nothing could be further from the truth. Considering the reality that the very same globalist representatives and institutions that permeate Western finance and politics ALSO sit in positions of influence in countries like Russia and China, I find it hard to believe that there is any sort of “division” in the upper echelons of their respective power structures. For all intents and purposes, the same poisonous influences, from Goldman Sachs to JP Morgan to Rothschild, run corporations to Henry Kissinger (Mr. “New World Order”), all loom over Eastern economic policy and politics as well. I have been writing about the false east/west paradigm since at least 2014 and compiling evidence on globalist influences in Russia and China; you can read more here and here. The bottom line is this: Russia and China are in full support of globalist controlled institutions like the Bank for International Settlements (the central bank of central banks) and the International Monetary Fund (IMF). The governments of both nations have called for the IMF to assert their Special Drawing Rights basket currency framework as a foundation for a new world reserve currency system. Again, both Russia and China want the IMF, a globalist controlled entity, to become the de facto ruler of a new global monetary structure. This call for a complete world monetary shift has not been taken as seriously as it should have been, primarily because mainstream economists argue that there is no alternative to the highly liquid U.S. dollar. This is no longer true, though. With the rise of simple to generate cryptocurrencies and the easily tracked blockchain exchange mechanism, globalists now have the perfect liquidity tool for replacing the dollar as world reserve. All they need now is a crisis event to provide cover for the transition. That is to say, the masses must be thoroughly distracted by an engineered disaster theater. This would create the proper level of fear and confusion necessary to implement full spectrum changes in the world’s fiscal systems without ample resistance from populations suffering from the effects of the reset. China has been preparing for the move away from the US dollar since at least 2005 when they began issuing what the western financial media called "panda bonds", or Yuan denominated bonds. Back then, the idea was almost treated as a joke. Not so much anymore, as China has expanded its liquidity by trillions over the past 13 years through various Yuan denominated instruments and has now even began purchasing oil in Yuan instead of dollars. This has created what is being called a "petro-yuan" market, a move which was predicted far in advance by many of us in the alternative media, but for the mainstream it has been presented as something out of left field. Petro-yuan futures are being traded globally, and considering the fact that China is the largest importer/exporter in the world, it is only a short matter of time before many of China's trading partners switch from the dollar to the yuan for exchanges. All of this is culminating is a final action - the end game for developing trade war. This action will be the complete dumping of the dollar itself by China and its allies. With evidence building that China is stopping purchases of US treasury bonds, this action may come much sooner than many people seem to think. The naysayers continue to argue that China "will never break from the US and the dollar", yet, this is exactly what is happening. It appears that these people will not accept the reality of the situation until it sets up camp on their front lawn in the form of a monetary collapse. As far as distractions are concerned, the trade war activity has been very effective. For example, over the past few months I have been pointing out the strange relationship between announcements by the Federal Reserve concerning interest rate increases and balance sheet cuts and announcements by Donald Trump on tariffs against China and other nations. In almost every instance that the Fed’s actions precipitate a major drop in stock markets (such as last week when Jerome Powell announced an increased number of interest rate hikes and further balance sheet reductions) Trump simultaneously announces more aggressive tariff measures. The mainstream media automatically blames Trump and the trade war for instability in stocks while completely ignoring the direct correlation between the Federal Reserve removing artificial support from stock markets and their continuing declines. The central bankers created the massive market bubble, now they are imploding it, and they want to do this without suffering any blowback to themselves. Trump seems to be helping them in this regard. Even now, there are alternative economists and their followers that still don’t get what is happening. People who still think the Fed’s actions are a “policy error;” that the bankers are unaware of what they are doing, and that they will eventually reverse course and begin propping up stocks once again. My question is — why would they? International financiers and central banks have everything to gain by pulling the plug on life support for stocks, bonds, real estate, etc. at this time. In the midst of a trade war panic, they can pretty much do anything they want without retaliation. All future catastrophe can now be dumped in the lap of any number of scapegoats. Some people will blame Donald Trump and the conservatives that voted for him. Some people will blame China and Russia as the culprits behind our ills. Other people will blame “capitalism” and “free markets” in general for the crisis even though we haven’t enjoyed true free markets in well over a century. But, very few people will blame global banks specifically. I can tell you exactly what globalists will say as they salivate over the panic; they will blame the “selfishness” of “nationalism” as the great culprit, and they will call for a one world economic system built on a one world currency framework as the solution. In many ways a world economic war could be far more disastrous than a nuclear one. In the event of economic collapse just as many people could very well perish as trade infrastructure and freight systems shut down, but the damage can be more easily directed and centrally controlled by financial elitists. Wealth can be shifted into any number of assets anywhere on the planet — so the idea that globalists have anything to lose in this scenario is rather naive. In the meantime, the banks plan to steal even more power for existing organizations like the IMF. As some countries suffer economic breakdown, globalist institutions will only grow. In a nuclear war, there is only pandemonium. 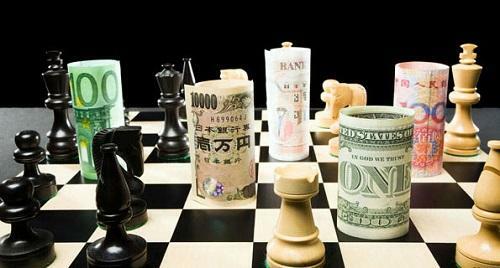 In an economic war, centralized dominance remains possible. The greatest disaster would not be the tragedy of mass unemployment, degradation of infrastructure, loss of monetary stability or loss of reliable food and energy production. No, the greatest disaster would be the continued thriving of banking conglomerates and central bank organizations as large portions of the world crumble. The greatest disaster will be what happens AFTER the collapse — the consolidation of a “new world order,” if the banking elites are not unmasked as the real catalyst behind the next world war.